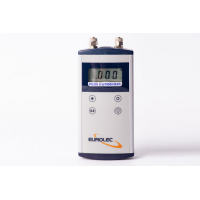 Eurolec Instruments manufactures a range of dry well calibrators. 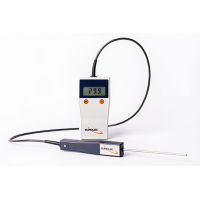 The calibrators enable the verification and calibration of general thermometers, infrared thermometers and probes. Eurolec Instruments has three series of dry well calibration source. 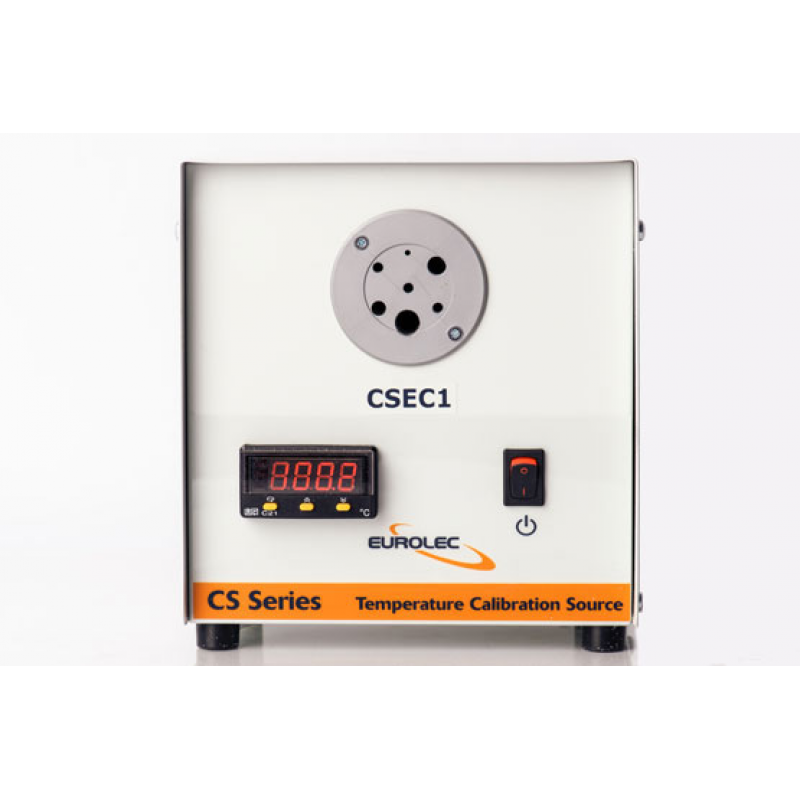 The CS series of temperature calibration source, the CS series of high temperature calibration source and the CSES series of calibration source. All calibration sources are standard with 6 probe holes and a black-body for Infrared thermometers. Customized probe holes are also available. The dry block calibration source ensures fulfilment of the temperature measurement standards, regulations and guidelines of your country. Eurolec Instrument has three types of dry well calibrators in this series. The CS173, CS174 and CS175. 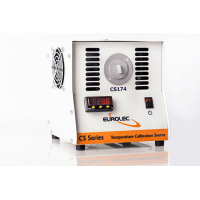 The CS174 and CS175 additionally have the CS174-IN and CS175-IN calibrators, which feature the customized probe holes. 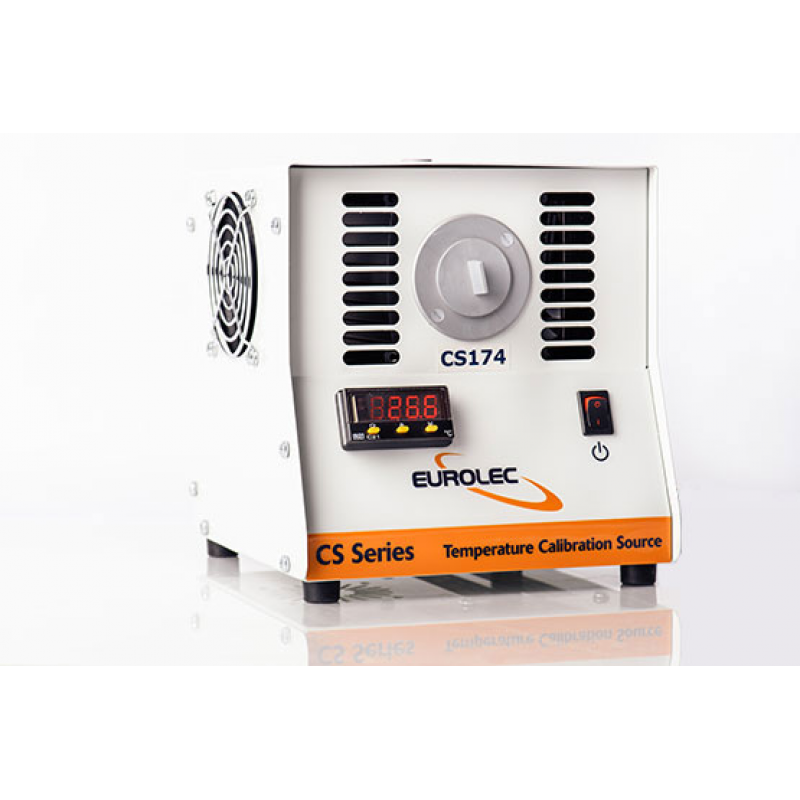 All calibrators in the CS series provide high accuracy and stable temperature output. The calibrators are ideal for the servicing and calibration of reference thermometers, infrared thermometers and general-purpose thermometers. For a complete reference, verification and calibration system, contact us now. 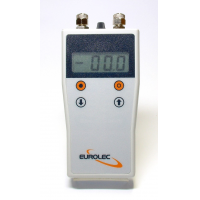 Eurolec Instruments has two dry well calibrators in this series. 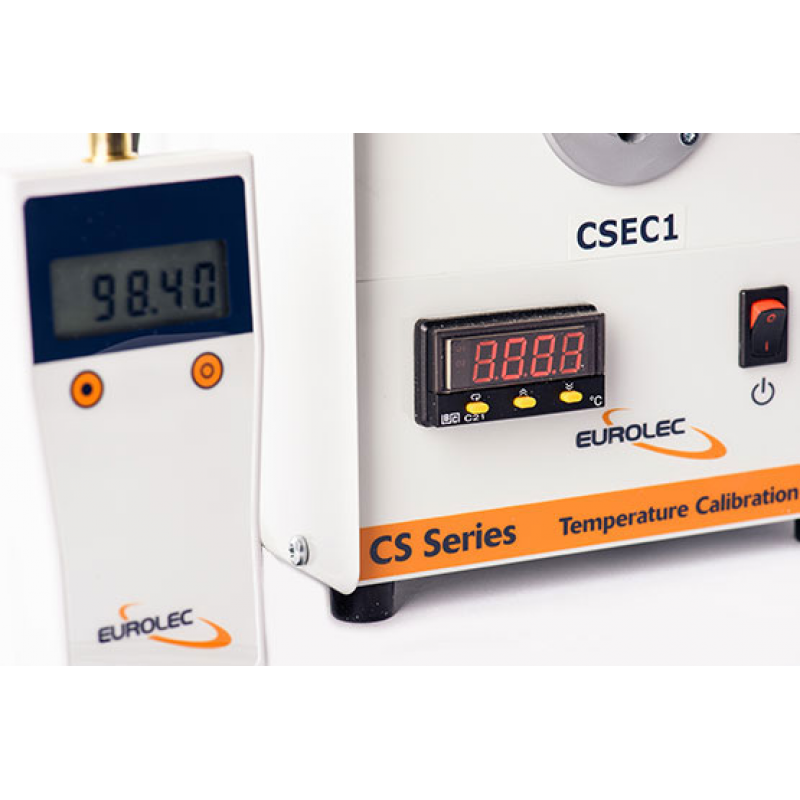 The CS350 high temperature calibrator and the CS650 high temperature calibrator. The calibrators reach high temperature levels. This enables the calibration of thermometers, infrared thermometers and probe thermometers at extended ranges. Eurolec Instrument has three types of dry well calibrators in this series. The CSEC1, CSEC2 and CSEC3. The CSEC Series is an economic range of temperature calibration sources. All calibrators in the CSEC series provide high accuracy and stable temperature output. 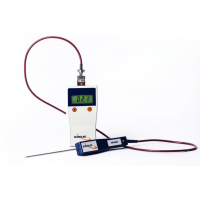 The calibrators are ideal for the servicing and calibration of probe thermometers and general-purpose thermometers.